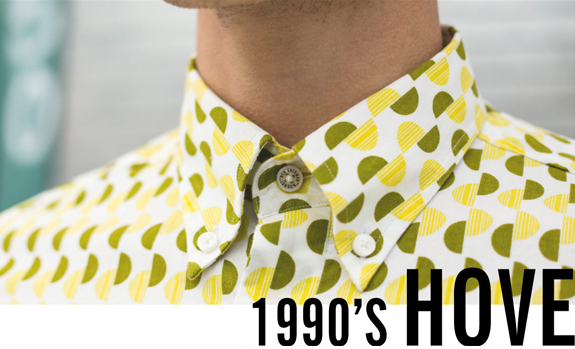 Grab a piece of shirting history with the Ben Sherman Archive Shirt Collection. Featuring three distinctive designs, our collection of Archive shirts has have been re-issued from our historic back catalogue to celebrate Ben Sherman’s unrivalled shirt heritage. 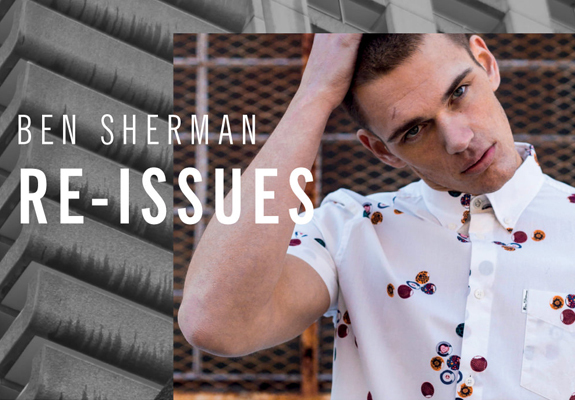 Since 1963, when the company’s founder returned from the USA with a mission to change the face of men’s fashion, and following the introduction of the iconic Oxford shirt, the Ben Sherman brand has been highly regarded throughout music, fashion and pop culture. Making up the Archive collection is the Hove, the Riley and the Aquarius, all faithfully recreated from their original design. Read more to discover what gives them their distinctive and authentic edge over the competition. 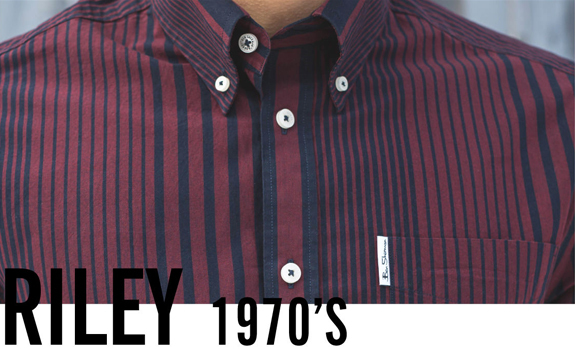 The Riley pays homage to the bold striped shirts that characterised men’s shirting style in the 60s and 70s. Today, like then, the design of the Riley is dominant and progressive, and the reissue features fresh tweaks including a variated stripe pattern and modern styling. 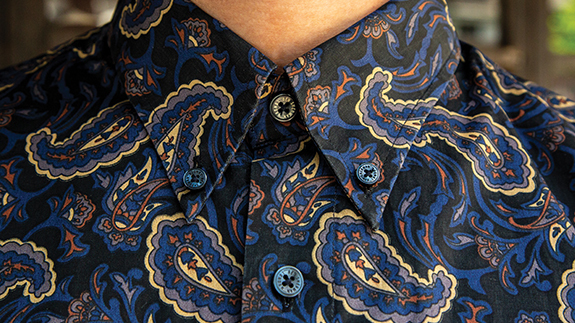 Available in two colourways, this iconic short sleeve shirt will turn heads everywhere you go. 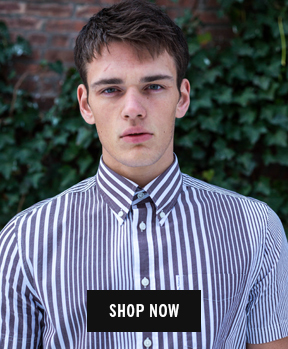 Named after the coastal town that flanks Brighton on the south coast, where Ben Sherman lived and worked in the 60s, the Hove shirt has been faithfully reproduced from the 90s original. 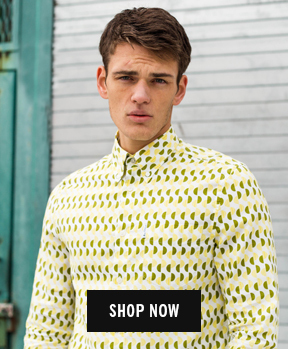 Featuring an eye-catching split spot design printed onto a lightweight Oxford fabric, cut with a straight hem mod fit, a three-finger buttondown colour, and classic box pleat and loop, the Hove is a timeless classic brought back to life. 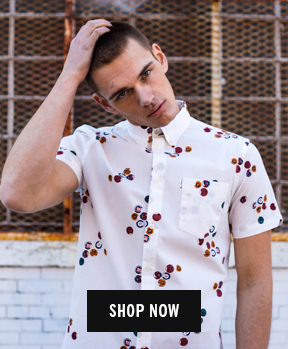 The Age of Aquarius refers to the heyday of the hippie and new age movements of the 60s and 70s, and it’s that spirit that is captured in the Aquarius reissue of the original Ben Sherman shirt. 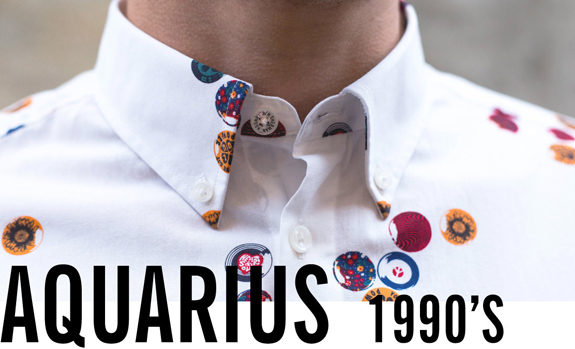 The bohemian vibes that defined those decades are represented by the unique Aquarius print made up of reworked pin badges, of the type you’d see at marches and protests during that time. The Aquarius is a great option for the summer months, and for anyone seeking to re-awaken the freedom fighter inside of them.